While the panini press heats up, put the bread slices on your work surface. 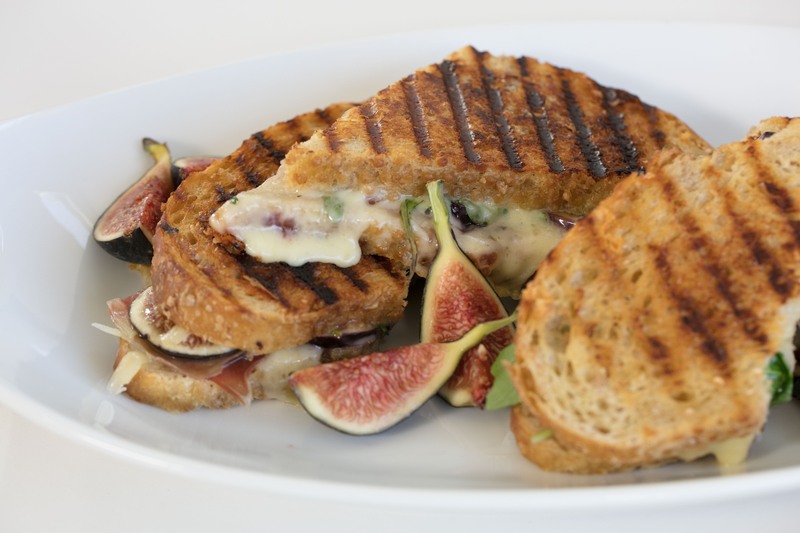 Lay the prosciutto on one slice of bread, followed by the cheese, figs, and arugula. Set the remaining bread slice on top. Brush the outside of the sandwich with the olive oil. Lightly coat the panini press with non-stick cooking spray, set the sandwich inside, and close the lid. If you don't have a panini press, cook it in a cast iron skillet or grill pan over medium-high heat with a heavy pot on top of the sandwich to weigh it down, turning it over halfway through. When the sandwich is crispy and brown and the cheese is melted, remove it from the panini press and cut in half.